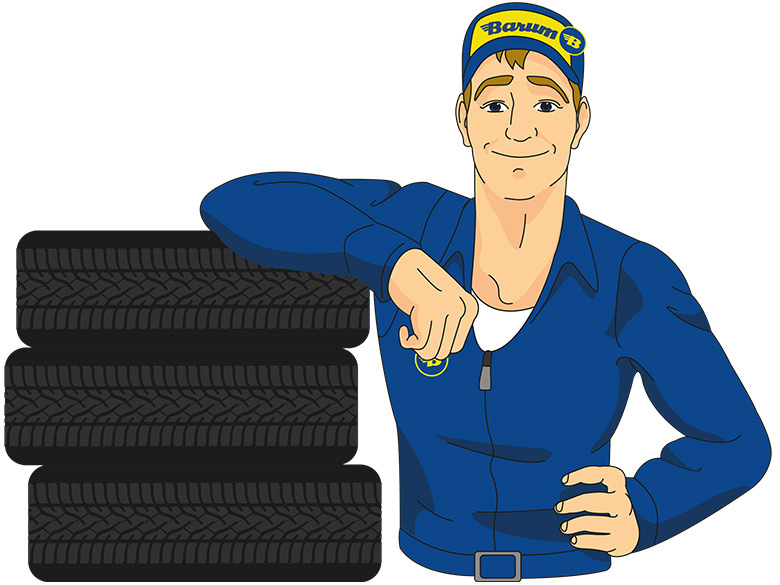 Tyres are the direct link between the car and the road. Once mounted, they are primarily a means to an end. However, that doesn't mean they don't need a little attention now and then. To roll reliably, tyres need one thing above all others: air. And this can escape over time. 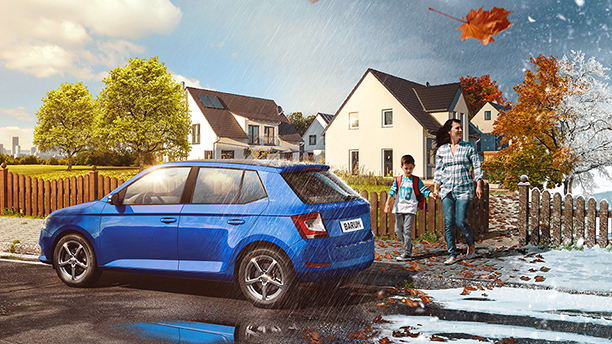 To be safe on the road, you should check the tyre pressure regularly. Even though this is a short and uncomplicated process, many drivers neglect to check their tyre pressure. Having correct tyre pressure means greater safety on board and money saved, as too little air can be quite expensive in the long term. The reason for this is increased rolling resistance. It increases fuel consumption by up to 0.5 litres per 100 km. Wear also increases by up to 30 per cent at only 0.4 bar below the recommended pressure. Incorrect tyre pressure can also have a massive impact on handling. It doesn't matter whether the pressure is too high or too low: in both cases, the car will have unstable traction and a longer braking distance. In short, as fuel consumption increases, driving stability decreases. This is why it is so important to check your tyre pressure regularly. 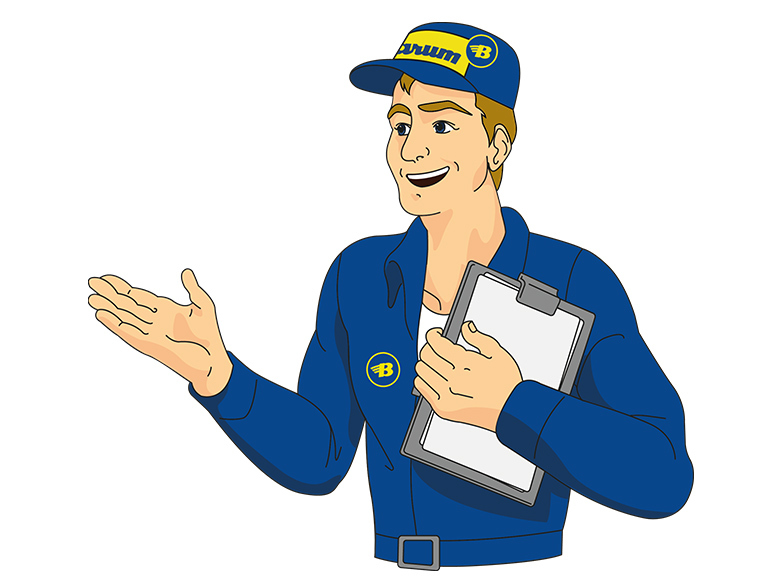 "Do you know the signs of low tyre pressure? The car "lurches". If the air pressure at the rear are too low, the rear often reacts erratically when changing lanes. If the car does not run straight ahead anymore, you should check the front tyre pressure immediately. " 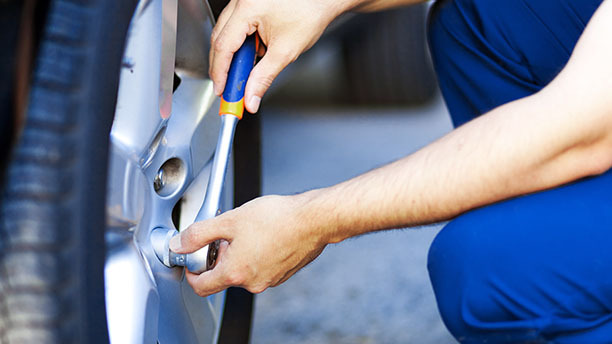 Your car's tyre pressure: Make sure you pay attention! Whether stationary or mobile, gauges that allow you to reliably check your tyre pressure can be found at most petrol stations. Take advantage of this and make regular checks a habit. The best time to measure the air pressure is when the tyres are cold or have only travelled a short distance. If the tyres have heated up too much, then the measured values will be wrong. It's best to head for the nearest petrol station directly when you start driving. 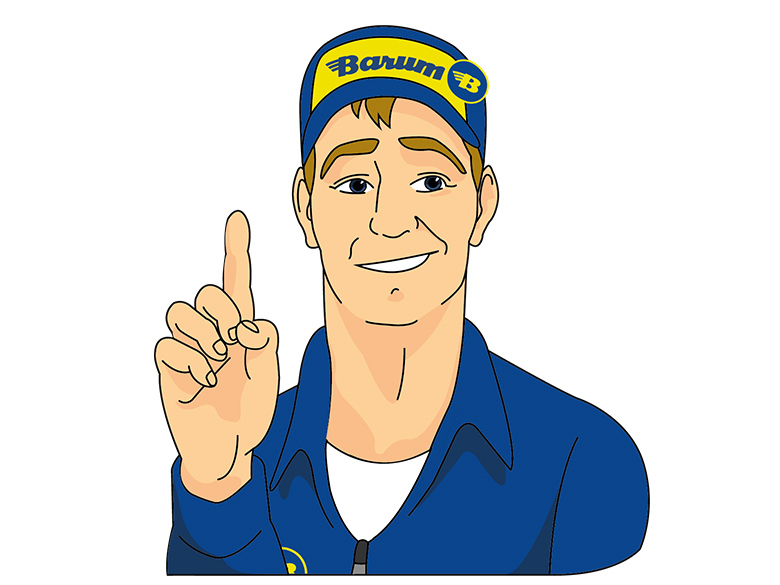 "When did you last check your tyre pressure? A long time ago? Then now is the best time to do it. In the future, you should check your tyre pressure at every fourth stop at a petrol station, or at least once a month. Disposable gloves are available at the petrol pumps in most petrol stations. You can use these to avoid getting your hands dirty from the brake dust when unscrewing and replacing the valve caps." How high the air pressure should be depends on your vehicle and the load. The correct values are usually printed on a sticker found in the door frame on the driver's side and in the manual. If no information can be found anywhere, you can also calculate the appropriate air pressure yourself using a tyre pressure table. The required air pressure can increase accordingly depending on the load. Never exceed the maximum value by more than 0.3 bar. Otherwise, the centre of the tread will be exposed to greater wear than the sides and driving comfort will be noticeably reduced. The tyre pressure is correct when the tyre rolls with the entire tread in contact with the road. Check the tread pattern from time to time to ensure that it is evenly worn. "An increased tyre pressure of 0.1 to 0.2 bar is harmless. Quite the opposite: this will minimally improve your steering ability and cornering characteristics and shorten your braking distance." 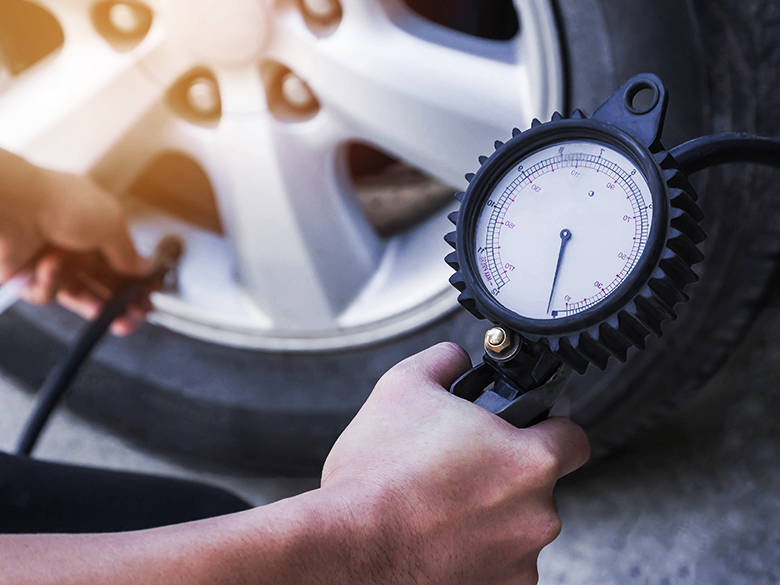 There is often disagreement regarding the question of whether the tyre pressure for winter or all-weather tyres should be higher or lower than that of summer tyres. 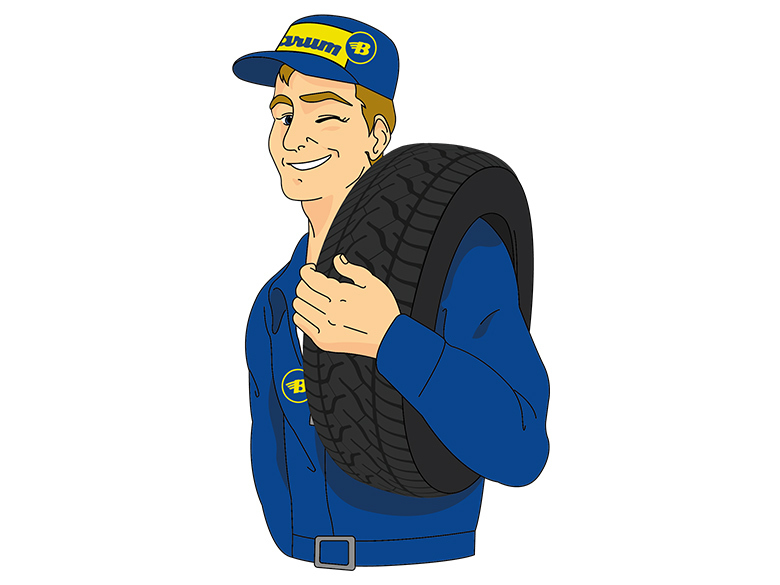 In principle, the tyre pressure data for a car does not change in winter. You should instead pay more attention to the load and correcting the air pressure upwards or downwards. "Who spares a thought for the spare wheel? It is not uncommon for the air pressure to drop to a minimum due to neglect, and then the wheel will no longer be useful in an emergency. Check on it at least once a year." Some cars – especially newer models – use a tyre pressure monitoring system (TPMS). They automatically warn the driver if the tyre pressure are incorrect. You should then go to a petrol station as soon as possible. There are two separate TPMS concepts commonly used: The direct system uses pressure sensors attached to the valves, rim or inside of the tyres to measure the pressure. The actual air pressure for each tyre is displayed. Indirect systems determine possible pressure losses from the rotational speed of the wheels. The disadvantage here is that there is no indication of the exact air pressure. A warning light merely indicates that there is a problem. Tightening nuts is very important. How can I do that? Our tips will tell you how to tighten the bolts correctly.